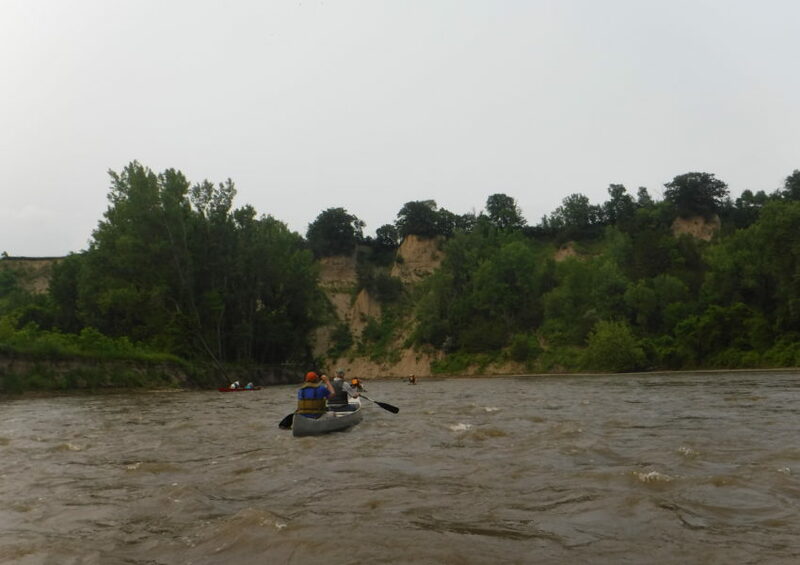 Watershed residents paddle the Le Sueur River with researcher Patrick Belmont, who shows how high flows change the river and surrounding land. As rain storms become increasingly intense, water moves faster to creeks and rivers. Farm field tile systems increase that flow, moving water away from naturally wet areas as fast as possible, as they are designed to do. As a result, the volume of water in streams rises and falls more often than it did before humans made changes on the land. 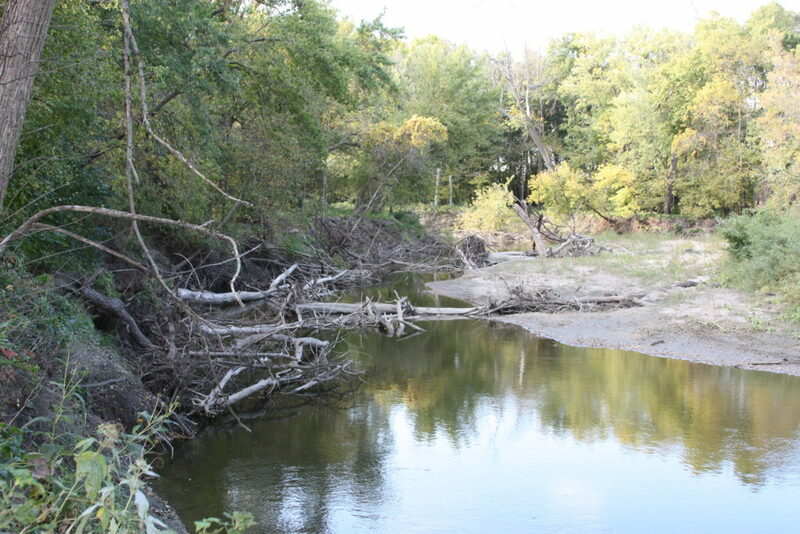 This flashiness in streams increases erosion from streambanks. Water coming out of tiles can also carry high levels of nitrogen, phosphorous, and other crop inputs. Across the watershed, streambanks are destabilizing due to high peak flows, and it’s common to see downed trees blocking channels. 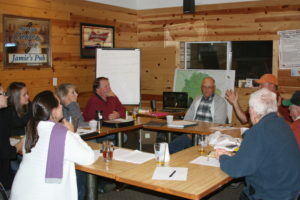 Le Sueur River Network steering committee members have invested time learning about this, including paddle trips with Minnesota DNR stream experts to learn the characteristics of a healthy river and what’s happening in their own area. With a goal of keeping more water on the land longer, they are adjusting farm practices and investing in saturated buffers, wetland restoration, and strategically placed ponds. 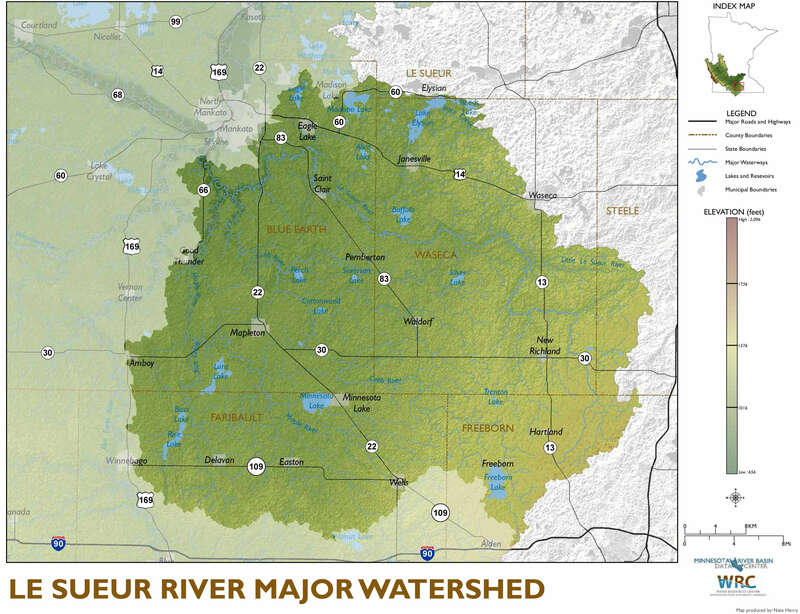 Farmers in the Le Sueur River Watershed share what they’re doing to reduce runoff from fields. Because neighbors take notice, steering committee members are also sharing what they’ve learned and advising others about how to implement practices. 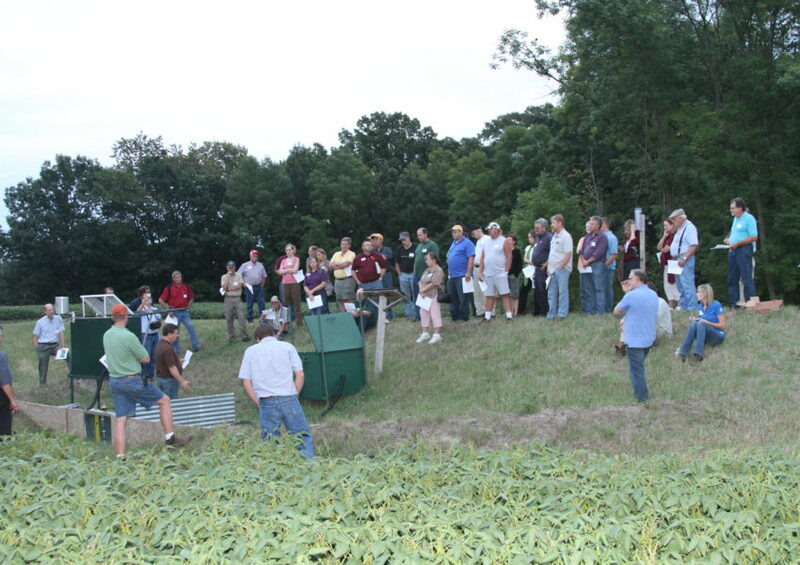 Discovery Farms is a farmer-led effort to gather science-based, water quality information from farm fields across Minnesota. 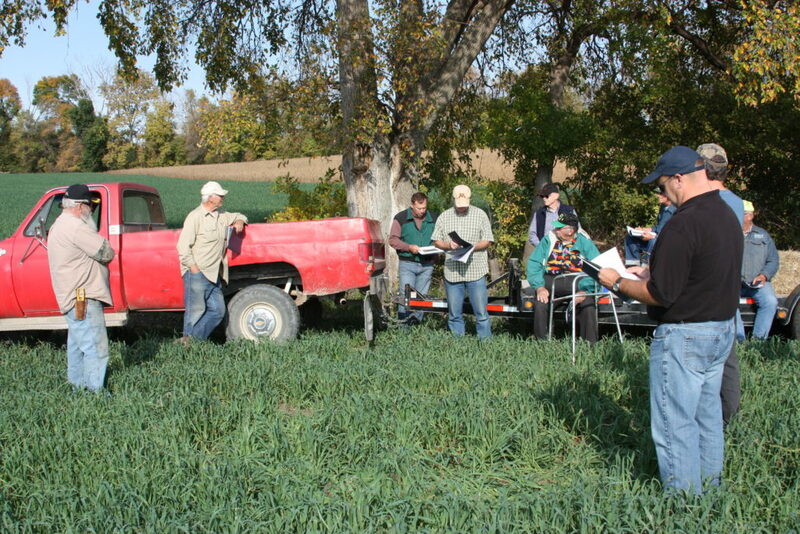 Doug Hager invited the Le Sueur River Watershed Network for a tour and presentation on field scale data collected on his farm, which is part of the Discovery Farms network. Read more about this field day.